Many of my readers ask how I am doing now. The answer is great. I have no arthritis. I have had no arthritis at all since 1999, when I lost my remaining food sensitivity inflammatory triggers. I still enjoy cooking. I thought you might enjoy seeing a video from a recent get together at my house with some of my neighbors. Although most of you know me as Barbara Allan, you might hear my neighbors call me by my nickname, Cho. I’m the one in the red and white shirt. I have tried all kinds of Herbal, Flower Remedies, New Era Salts etc …..
Where can i get your book – I live in the Republic of Ireland, do you supply to this country? You can order my book online from http://www.ConqueringArthritis.com We do ship to Ireland. To order on-line you need a credit card or a PayPal account. We do not accept checks written in a currency other than $US, because of the excessive bank fees we would have to pay to cash such a check. Perhaps you could ask a friend or relative to order the book using his or her credit card and then pay him or her back. Wonderful explanation of facts availble here. My assitant just reminded me that with PayPal you do not need to have a credit card. With PayPal you have the option of paying from a bank account. 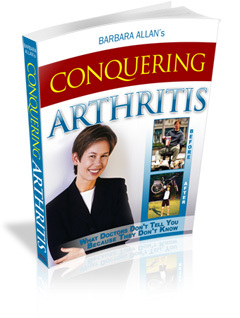 You can order the book Conquering Arthritis online at http://www.ConqueringArthritis.com using PayPal. Barbara: One doesn’t need a Nook device. One only needs the Nook software. John, thanks so much for the info on only needing Nook software to read ebooks sold by Barnes and Nobel. I’m still new to this world of ebooks and ebook reading software and hardware. By the way: Nice to hear from you again after a long time! I hope you will make your blog a more regular component of communication. Thanks, John. 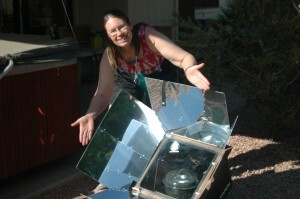 Yes, I hope to add blog posts on a regular basis. Does your plan work for all types of arthritis? I have osteoarthritis in my hands. Yes, my plan works for all types of arthritis. When I wrote the book, I thought it was mainly for rheumatoid arthritis, but I have gotten plenty of feedback over the years that it works well for osteoarthritis and other types of arthritis as well. I hope this works for OA because that is what I have in my back. I have done the ALCAT test and am very surprised what my top reactions are. One is olive oil that I put on everything and use always in cooking, in my bath soap, my shampoo, etc etc. I went today and bought new roasting pan and spray for BBQ. I reviewed my results with Barbara last week and she has lots of information to understand the results. She was right in letting me know it is lots of information. I mentioned in an earlier blog one of my Severe Intolerances was olive oil so I am exploring new oils. I had been using some coconut oil but became over zealous with it and discovered it is also a laxative. Lesson learned. I do not tolerate eating soybeans. What do you think. 2. I have Mild Intolerance to Gluten and Gliadins. My organic facial products all have wheat based ingredients in them. Does anyone know some that do not? 3. Dishwashing liquid that are organic and natural all seem to have citrus acids in them I am Intolerant to lemon. Any suggestions. I finally just bought a bad one because it did not have the natural citrus in it. Any ideas? 4. Body lotion – my organic products all have grape seed extract and several wheat extracts in them. Barbara suggested using pure products like shea oil and coconut oil. I can’t do this with clothing and living in the Pacific Northwest (PNW) it does not absorb as well as in hot weather. Does anyone have any suggestions? Even with all our rain, my skin is very dry. 5. Does anyone else have osteroarthritis — OA. Barbara indicated it is not as reactive as some other forms of arthritis. If you have OA what has been your experience in implementing the suggested program? Thanks for any information you can share and hope you are doing well. Your questions are excellent. You might get quicker and better answers is you also posted your questions on my forum, http://www.conqueringarthritis.com/arthritistreatmentforum/ . In this forum I have a special section for readers to share what they know about living without specific foods. There is a special session for wheat and a special session for soy. Oh well I thought I was on the forum. Will work on it tomorrow.